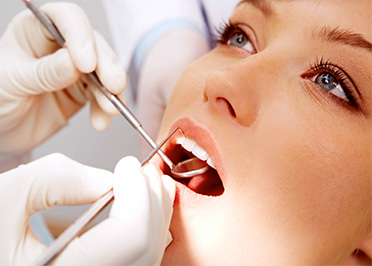 What is Gum Disease and How is it Treated? Periodontal disease or gum disease is an infection of your gums that begins when bacteria accumulate at and below the gum line. Your immune system reacts as it would with any bacterial invasion. The process of inflammation starts and then the white blood cells start moving in to do battle with the bacteria. All this chemical warfare destroys the attachment of the gum tissue to the root of the tooth and can eventually dissolve the bone that holds your teeth in the jawbone. When bacteria has been undisturbed, it begins to mineralize and this hardened material above and below the gum line is referred to as tarter or calculus. This build-up of calculus irritates the gums further and is a great place for new plaque to form and cause more problems. It is a vicious cycle and is often painless until the later stages. Periodontal disease can have wide spread negative effects on your health, but the good news is that Dr. Hudon uses many ways to treat this very common and devastating disease that are more comfortable and effective than ever before! Periodontitis (gum disease) is a complicated relationship between the billions of bacteria in your mouth and your immune system. When bacteria attaches to the root of the tooth and penetrates into the tissues below the gum line, the immune system launches an attack to try and stop the infection. The key to the immune system getting starting is called inflammation. Simply stated, all this chemical activity causes the delicate gum tissue attachment to break down and eventually results in tooth loss. This process is often painless until the advanced stage when abscesses begin to form and cause swelling. Poor home care that allows bacteria to buildup below the gum line. A weak or over burdened immune system as in a patient who smokes, or a person who is battling other chronic inflammatory diseases such as heart disease, diabetes, obesity (more than 30% of your body weight is made up of fat), cancer, etc. Home care: Proper tooth brush and technique for cleaning between your teeth - must be done twice daily! For more details on the various treatment options, go to our website at www.auperio.com and at www.LANAP.com and click on the “lanap procedure consultation” found in the upper left corner of the home page.